Editor’s Note: This review was originally written in 2010 and has been placed in our Archive. 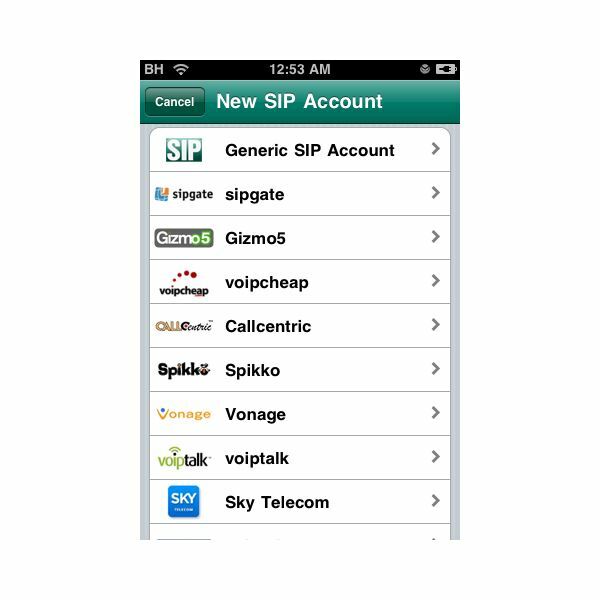 all of the major SIP providers with pre-configured settings and the ability to use any custom provider. Many keys features are supported by Acrobits Softphone which makes it a desirable candidate for VoIP on the iPhone. Acrobits Softphone does an outstanding job at making VoIP on the iPhone easy to use and very accessible. Featuring a wide selection of codecs and a very fair price, it is one of the best, if not the best VoIP option on the iPhone. 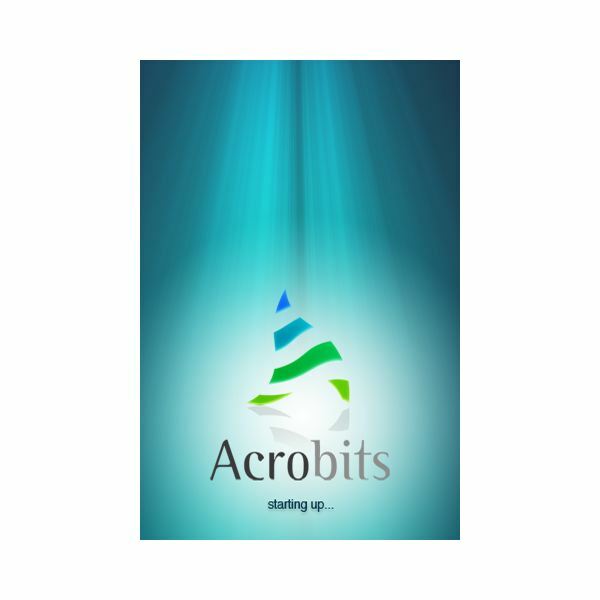 Acrobits Softphone offers an outstanding number of features. 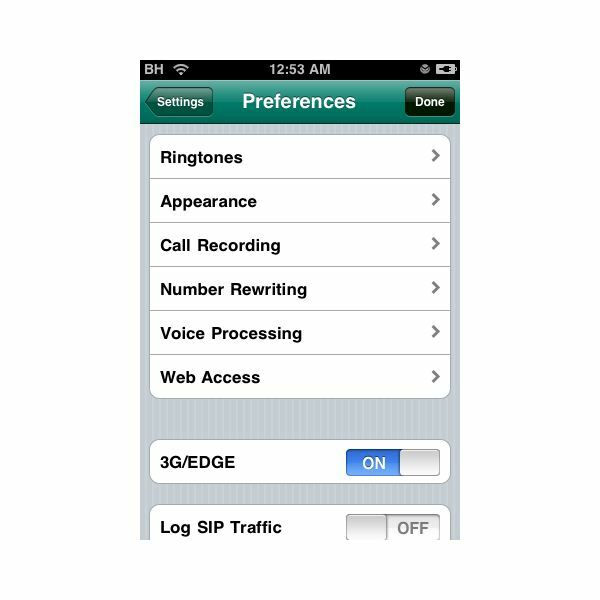 Many of the features supported are hard to find on other VoIP on the iPhone apps. Features such as PUSH alerts make it possible to receive calls even when you are not using the Acrobits Softphone application. It also offers a Quickdial function which enables full customization of a list of speed dial contacts, complete with photos. Full history of all calls including incoming/outgoing and missed calls (even when Acrobits Softphone was not open) is a great feature. contacts from an Exchange Server if you have one set up on your iPhone. There are very few or no features left to be desired from a VoIP on the iPhone application. Acrobits Softphone features a very easy to use and visually friendly interface which feels complete and natural to the iPhone. Acrobits Softphone is much more than just aesthetically pleasing: it’s fully functional. It offers a large amount of customization and settings which make it an outstanding solution for VoIP on the iPhone. Acrobits Softphone supports several different codecs such as: iLBC, GSM, G.722, G.711 u-Law and G.711 a-Law. Codecs can be configured in order of preference and based on the connection type. The ability to choose codecs based on connection type is a great way to ensure the best quality over both Wi-Fi and 3G/Edge connections. Support for many major SIP providers is included with the applications. To name a few SIP providers that Acrobits Softphone supports: Call Centric, Gizmo5, sipgate, Vonage, BroadVoice, Redspot and even mondotalk. The current list of pre-configured SIP providers supported consists of over thirty and custom SIP providers not on the list can still be used. Setting up your SIP account in Acrobits Softphone is as simple as entering your username and password for your SIP provider. PUSH support is enabled with the simple tap of a button and works very well with most SIP providers. There is little to no delay time with PUSH notifications which makes them incredibly useful. All the major functions of Acrobits Softphone work as expected. Calls can be muted and transferred with ease. The number pad supports DTMF tones which means it is capable of operating with automated systems as a regular land line phone would. Ringtones are customizable and Acrobits Softphone can even use songs from your music library on your iPhone as ringtones. Users can customize both ringtones for when the application is open and ringtones for push notifications. Acrobits Softphone supports many advanced settings in addition to the basic VoIP on the iPhone settings. Support for things such as Outbound Proxies, customizable Caller ID, Number Rewriting, Logging and even support for STUN servers. 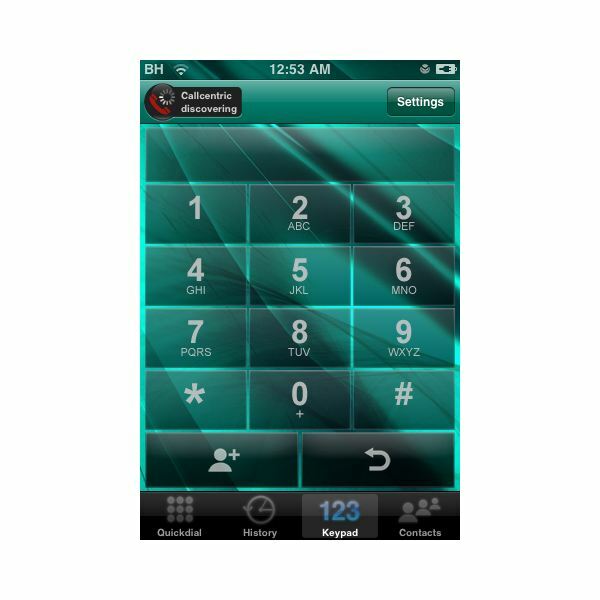 Acrobits Softphone provides complete customization and control over VoIP settings directly from the iPhone application. Support for multiple accounts is readily available and easy to configure. Acrobits Softphone offers an unparalled set of features and usability for VoIP on the iPhone. Other VoIP on the iPhone applications include support for things such as PUSH while offering a very limited set of codecs. Acrobits Softphone does a beautiful job at coming out ahead of the current standard and providing all around quality for VoIP on the iPhone. Acrobits Softphone sounds great when being used (depending on connection quality). Echo suppression built into Acrobits does a nice job at cleaning up the voice that is being transmitted. Acrobits Softphone makes the VoIP on the iPhone experience feel very natural as if you were placing a regular phone call. 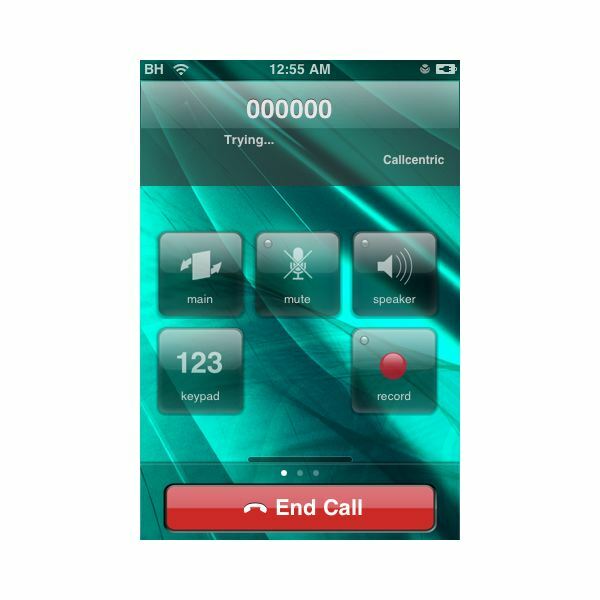 Functions such as the proximity sensor work while a call is active which is a first for VoIP on the iPhone. Acrobits is actually more convenient and better looking that the default iPhone dialpad. This softphone may actually provide a reason to use VoIP more than a cellular network on the iPhone. Frequent VoIP users and new users to VoIP on the iPhone will be mesmorized by Acrobits. The many customization options ensure that Acrobits will work to anyone’s standards on the iPhone. Acrobits Softphone offers more features than many VoIP applications for desktop computers which is quite impressive from a VoIP on the iPhone app. Acrobits essentially provides a solid reason to begin using VoIP on the iPhone if you are not already. Headaches configuring and using VoIP are a thing of the past with Acrobits Softphone. Built in support for many different SIP providers makes the configuration process a breeze. PUSH support on Acrobits Softphone could not work any better and does an excellent job at letting you know when an incoming call is arriving, regardless of what you are doing on your iPhone. Support for ringtones directly from your song library makes Acrobits better than the actual iPhone phone application and easier to customize. Acrobits Softphone can be purchased on iTunes (here). Read this article for more information about VoIP. Also be sure to read these reviews on other VoIP on the iPhone apps such as Fring and Skype. (Screenshots taken with Acrobits Softphone for the iPhone courtesy of Acrobits).